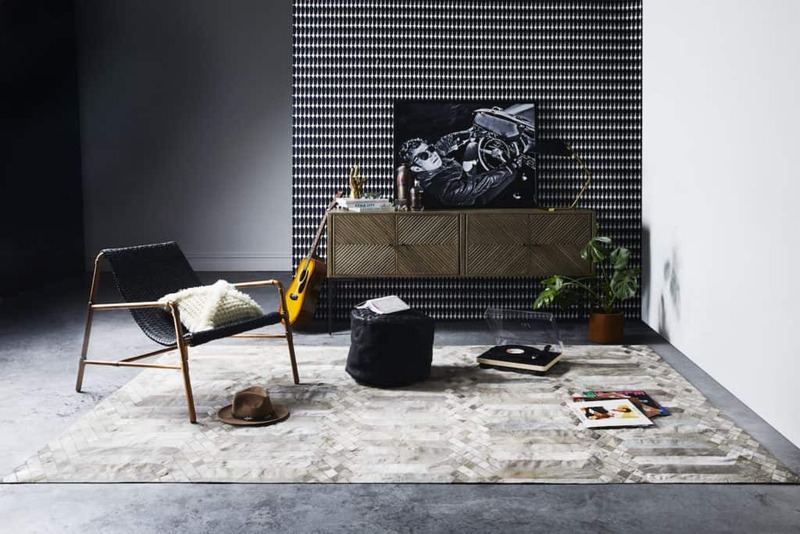 Rockstar interiors may evoke images of Kate Moss basking on a fur rug or Mick Jagger lounging on a giant leather sofa. Rockstar interiors mean luxury, decadence, opulence, and carefree nonchalance… and they are within your reach… even on a budget. As an interior designer in Adelaide, it’s my job to interpret YOUR loves and lifestyle into functional & stylish interiors and outdoor living. 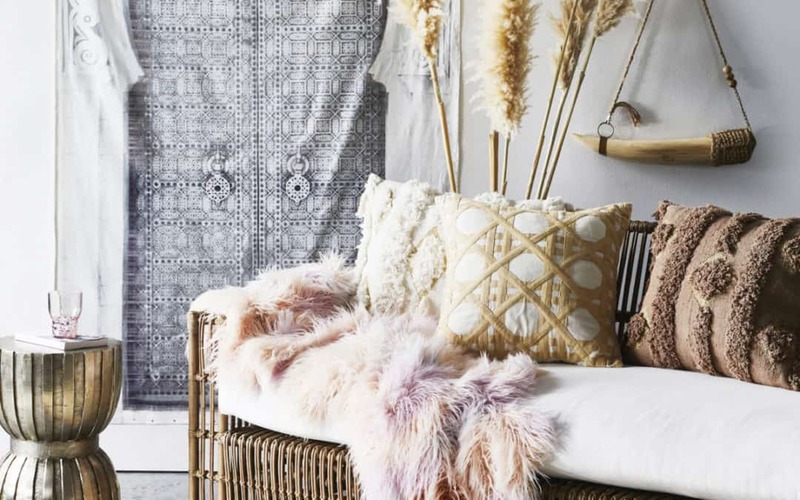 Just because I LOVE rockstar interiors and bohemian glamour doesn’t mean everyone does (but they totally should). However, it’s also my job to show clients what’s new and desirable. The décor a client thinks they want can be enhanced when I introduce new ideas and gorgeous tactile accessories. Personally, I’m a Rustic Luxe/Boho Glamour girl who loves relaxed yet dynamic and decadently luxurious décor, even on a budget. Luxury décor doesn’t have to have a high-end price tag. Choosing the right colours and textiles can take bland to grand without breaking the bank. Art Hide and Amigos de Hoy have provided a fresh take on 70’s opulence with ethically sourced leather, jewel colours, bold prints and plenty of rock-star glam. Delicious! And fabulously styled by Greenhouse Interiors. 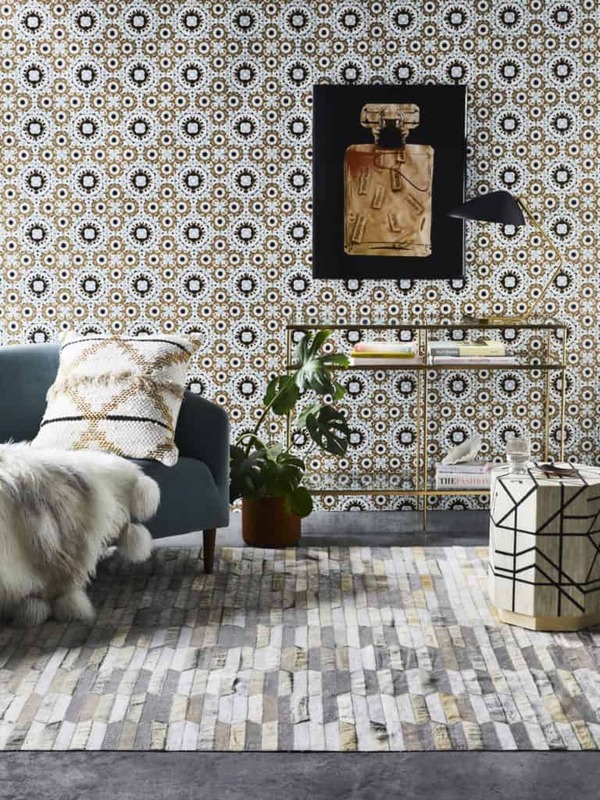 The 70’s was a time for rock ‘n roll, shaggy textures, and bold colours infused with Moroccan influences, vintage florals and an exciting relaxed vibe. Retro décor has been popular for many years, however Art Hide and Amigos de Hoy have amped up the glamour with their 2018 collaboration. 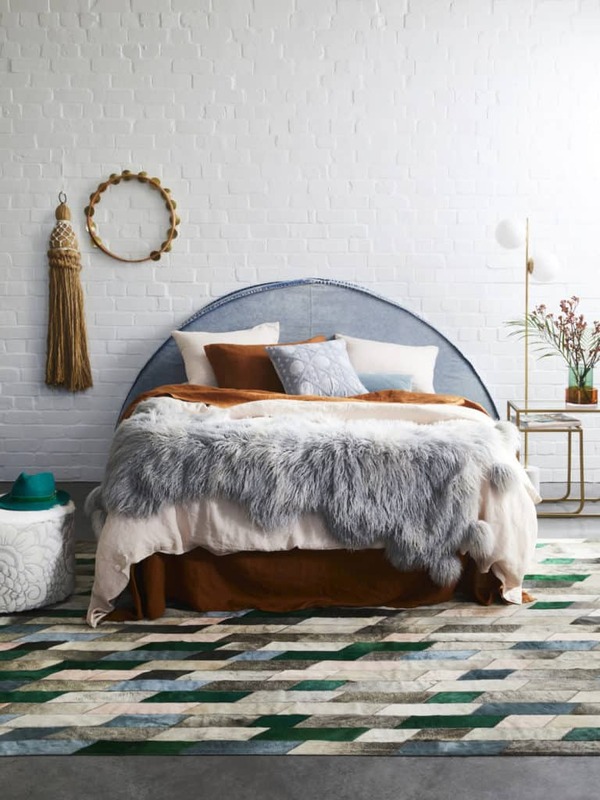 Fabulous for bedrooms and relaxed (but glamorous) in living spaces, create your own Rock Star space with modern bohemian styling. So here are few rules for your DIY infusion of SENSATIONAL new accessories. Choose one hero piece such as wallpaper, a large rug or an over-sized bed cover. As a hero piece, go bold and colourful pulling in the other accessories to support your ‘Star’. 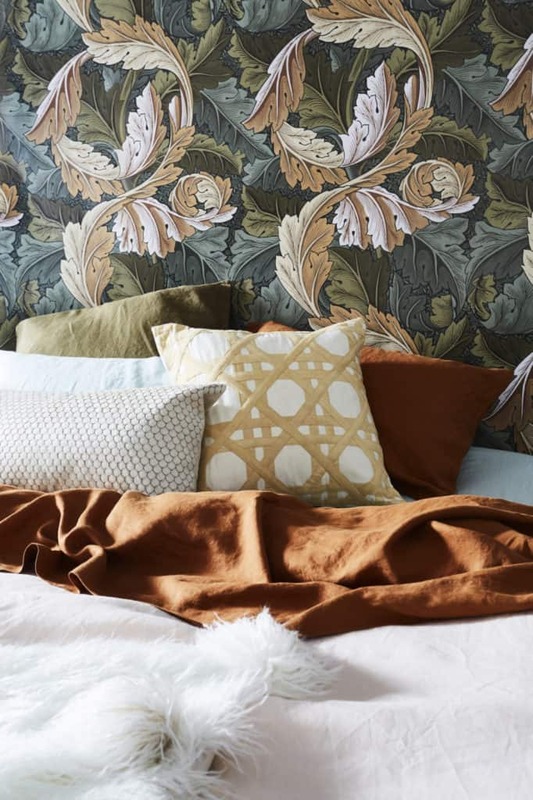 Personally, I am a big fan of wallpaper which can add depth, variety and texture to a wall… or room. 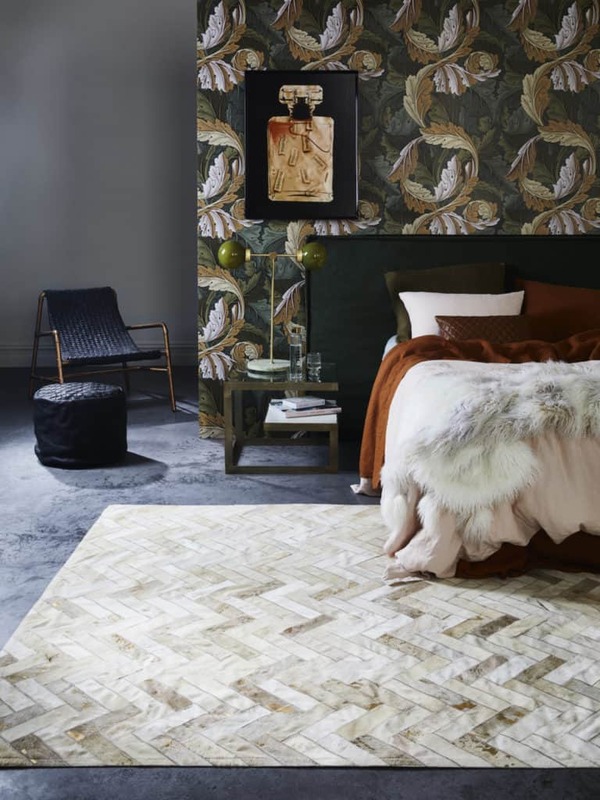 However, if you rent or aren’t keen to commit to wallpaper then boldness on the floor or bed can be less confronting… but just as dynamic. 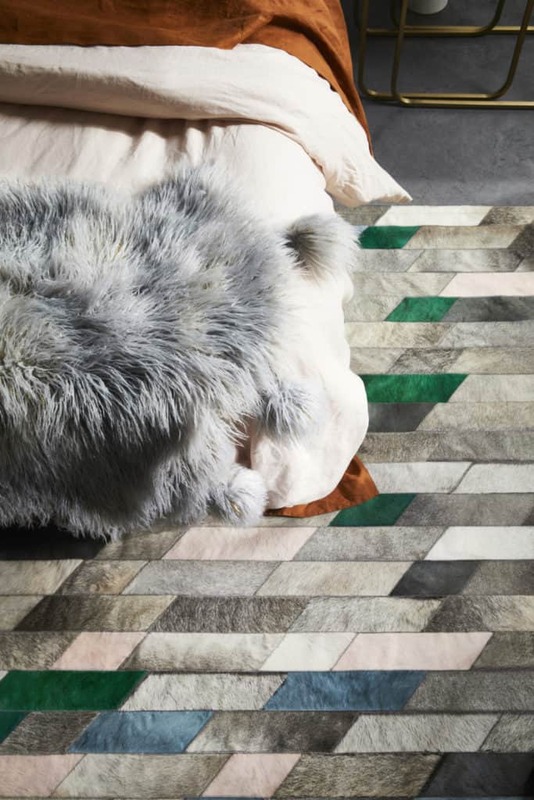 Mix and match cushions, throws and smaller rugs in textures you just want to touch – sheepskin, wool, faux fur, velvet, knotty wool, and mixed textures. 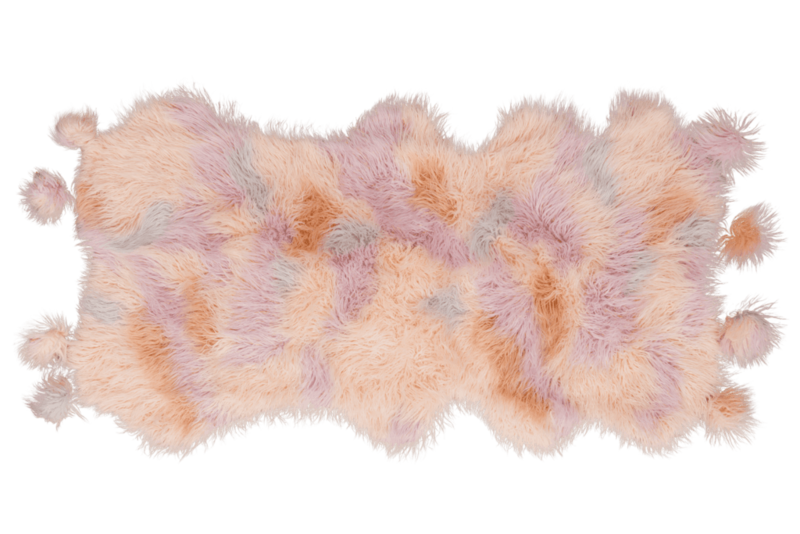 My favourite is the Flüffelbuster in ‘Unicorn’ (says it all really) which is a softly colourful faux-fur throw infused with gold lurex sparkels and giant pompoms. Did you know the Flüffelbuster is a mysterious creature that lives high in secluded mountains feeding exclusively on volcanic glitter ash and purified rock water? Think emerald green, hot pink, cobalt blue, burnt gold, amethyst and amber orange softened with gelato pastels. And WHAT a difference a rug makes. 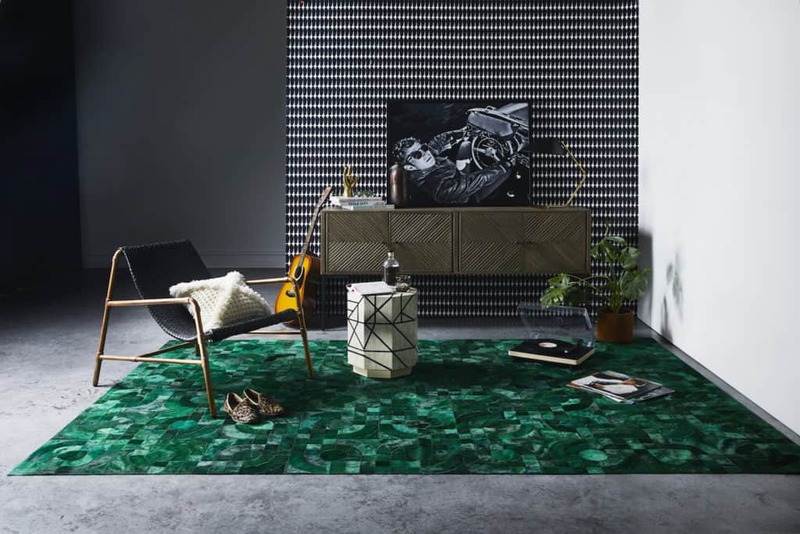 The same room, but swap out a neutral rug for a stunning emerald rug and totally change the vibe of the room. 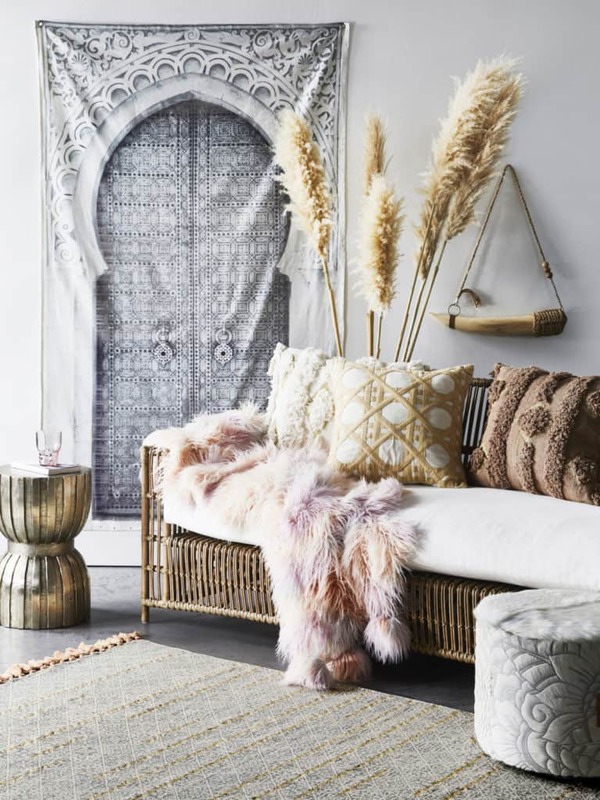 Nothing says bohemian rhapsody more than mixing gold, silver, brass, copper and rose gold. Add metal to the bottom 50mm of chair legs, hang wall art with metal frames, and seek lighting with generous use of metals. Love your vintage treasures. Find a metal drinks cart at the op shop or add a faux marble tabletop to metal legs. Spray paint wood in metallic paint if you have to. Don’t be too concerned about neat hospital corners on the bed or folded throws. Allow a little ‘crumple’ and practice ‘tossing’ items around in a carefree manner. 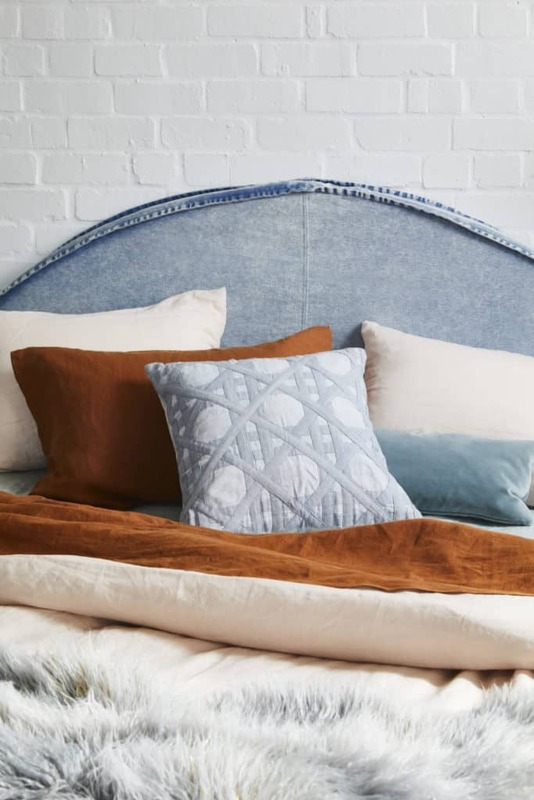 Drape or angle throws and cushions in a stylishly haphazard way – but be warned, creating a look that says “I’m too cool to care” does take a little practice. Make it your own – the only rule is that there are not too many rules. Be bold. Be brave. Be bohemian. Be a rock star in your own glamour pad. 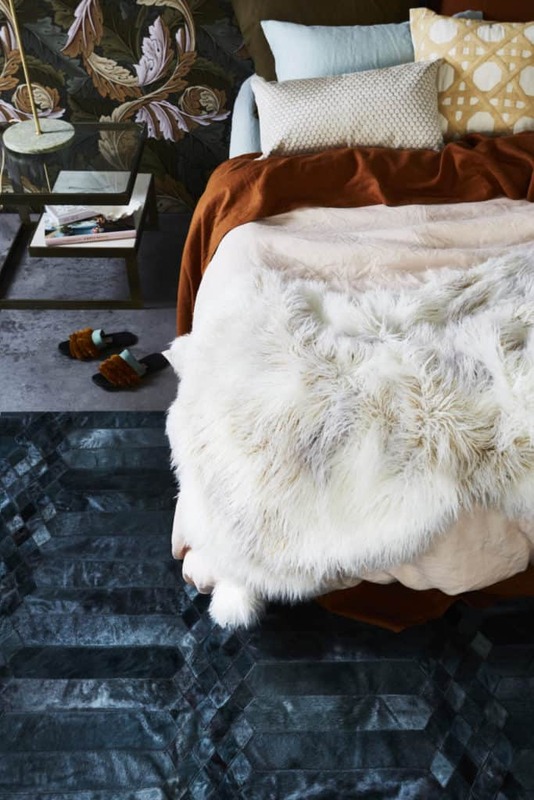 Pricing for items featured start from around $129 for luscious accessories, $229 for Flüffelbuster throws, and $1450 for ethically sourced cowhide rugs. Need Help To Design Your Own Rockstar Pad? 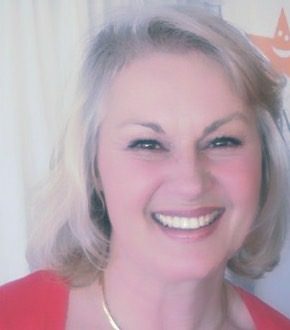 I’m an interior designer in Adelaide at Plush Design Interiors with access to Art Hide, Amigos de Hoy and other fabulous brands at discounted pricing. Please contact me on 0421 043 505 or penelope@plushdesigninteriors.com.au. I’d LOVE to help you.